Herod is a King who is enslaved, to sin, to his emotions and to the people around him. 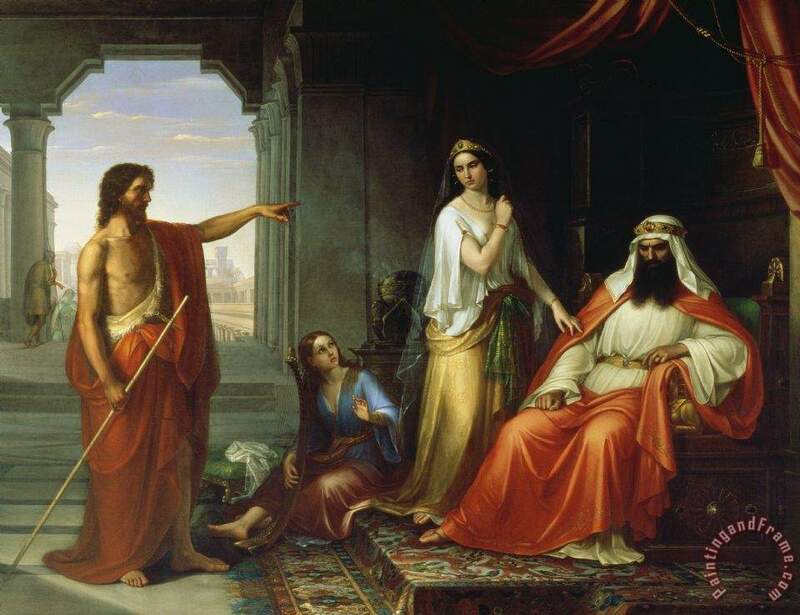 With echoes of King Ahab, Mark portrays him as an adulterer who lives in thrall to his wife’s evil wishes; Herod is proud, boastful, weak-willed, decadent and brutal. His enslavement is highlighted by the fact, that although he liked to listen to John (vs 20) and didn’t want to kill him, (vs 26) he ends up killing him anyway. As Jesus re-crowns us in his image, he enables us to rule ourselves well like good kings. Understanding this part of our salvation is so important because there is profound joy in being able to put love into action fully and freely. Without virtue, we can be filled with God’s love but we cannot act on it, like a reservoir with no outflow. Virtue is like a hydroelectric dam that turns our knowledge of God’s love into action. As we pursue virtue, we also understand more fully the forces that affect our choices and actions and can resist or work with them to do good, just as boat my sail with or against the wind. Moreover, our joy in the Gospel is deepened and ongoing as we experience God freeing us in new ways and different parts of our life. Have you understood that God wants you to be free, not controlled or mastered by anything but his love? What other forces control your life at the moment: sin of some sort, fear, addiction, social pressures? What things do you find yourself doing, but you don’t know why? Are you more like a raft or a sailing boat? Jesus can and will set you free, if you set your sights on his love and ask for his help. We should be careful about abdicating our freedom by mistakenly saying that the Holy Spirit is leading us, when we are in fact moved by unrecognised forces, such as our passions, temptation, social pressure, laziness and so on. God wants us to love him with our minds and think through actions, before choosing what is right. He does of course still lead us providentially and by intuition and spiritual insight, but it’s important we don’t imagine that he bypasses our minds to do so. Plans fail for lack of counsel, but with many advisers they succeed. (Prov 15:22) Find wisdom from God’s Word (especially the book of Proverbs) and God’s people, who are full of experience of how to love God freely and not be enslaved.